3 bedrooms, 2 shower rooms, 3 WC's, sleeps 6. This charming Breton cottage was renovated keeping its original features of oak beams and wooded floors. You enter the property by the large fitted kitchen, off this room is a play/social area or it can be used as a downstairs bedroom containing a double sofa bed with en suite WC in laundry room. The stairs lead to the lounge area with comfortable sofas, satellite TV, video, DVD and CD player. Also 1 double en suite bedroom. Stairs lead to next floor of one large double bedroom with exposed beams, 1 bedroom with 2 single beds and shower room with WC. The cottage has a dishwasher, washing machine and tumble dryer. This cottage is in the heart of the countryside and is very peaceful, but clean sandy beaches or the medieval town of Dinan for restaurants and shopping are only 10 minutes away. Local villages offer good dining, bars, shops and boulangeries. Supermarkets are also close. THE NEAREST BEACH: :-The nearest beach “ ST JACUT DE LA MER” is very clean and child friendly. It is about 15 mins away be car. Also at Lancieux is another suitable beach and is about 15 - 20 mins away. Rock pools are found at the edge and it is coast-guarded in summer. Most guests return many times throughout their stay as it suits all their needs. There are many activities for the children so their stay will be interesting. Some of the most popular are described below. Brochures on theses and more are provided in all the properties. Bourbansais:- a zoo where the animals are not in cages. Bouncy castles and play area and picnic area on the grounds. Cobac Park:- A fun water park. Prehistoric Park:- Full of dinosaurs and shows how caveman lived. Aquarium:- This is very impressive as it provides a pool where the children can touch the fish. Now an exciting submarine ride available. PLACES TO VISIT: Dinan is an ancient medieval town overlooking the beautiful Rance Valley, is a 10 minute drive from our home. Renowned for its choice of restaurants and shopping. Wander on foot and admire the half-timbered 15th/16th century houses. The world famous Mont St. Michel is half an hour away and has been called 'the Marvel of the Western World' owing to its island setting. Its rich history and beauty and of its architecture. Any season of the year leaves an indelible impression. The Cap Frehel is the grandest site on the Breton coast which gives a magnificent coastal panorama (especially beautiful late afternoon). OR RELAX: Or you can relax here in the countryside with a glass of full bodied red wine with a French sausage from the BBQ while the children explore the surrounding countryside. The nearest village where there is a bakery and general store is about 3 kms away. I chose this property for its peaceful rural location and easy access to ferries and the airport, plus amenities, beaches and countryside. The perfect antidote to city life. I love the silence, the wonderful night skies and only having occasional cattle for neighbours. It also offers easy and close access to all amenities. Two sofas, three chairs, Freeview tv, dvd player, cd/radio stereo with mp3 socket. Table will seat 6 or 7. Stereo radio/cd. This house has electric radiateurs throughout so is suitable for use all year round. Lovely huge main bedroom with shared large shower room and a second double room with single beds both on top floor. Then a good size double bedroom and en suite.on the middle floor . Large comfy sitting room too on middle floor Kitchen .and big kitchen table downstairs. The property is quiet very rural but close to good local beaches eg Lancieux and Dinard a bigger busy resort , lots of restaurants and an excellent Super U at Plancoet a local town .Dinan and all its attractions with easy parking Is a mere10 mns away.. If you prefer there is an excellent barbeque and large outside table and chairs to use in the warm evenings for a meal or a family game of something.. The cottage is in a wonderful location surrounded by fields yet short drive to all amenities. The beaches are superb and only minutes away. Thank you for your review, I am pleased you had such a pleasant and happy stay. The cottage does get tlc at the end of each letting season. A lovely traditional farmhouse set in beautiful countryside. Really well situated for St Malo and Dinan. Lots of really lovely beaches nearby. The house itself is comfortable and well equipped although the stairs are very steep. The garden is secluded and very quiet. Thoroughly recommended all round. What a great place! So clean, spacious and really appreciated the goodies left for us after a long day travelling. Location is also very good- close to lovely beaches and coastal walks as well as the towns of Dinan, Dinard and St. Malo. Very peaceful and relaxing. Very good restaurants clost at hand. Information given by the owner was very informative. I would highly recommend this property and the location. 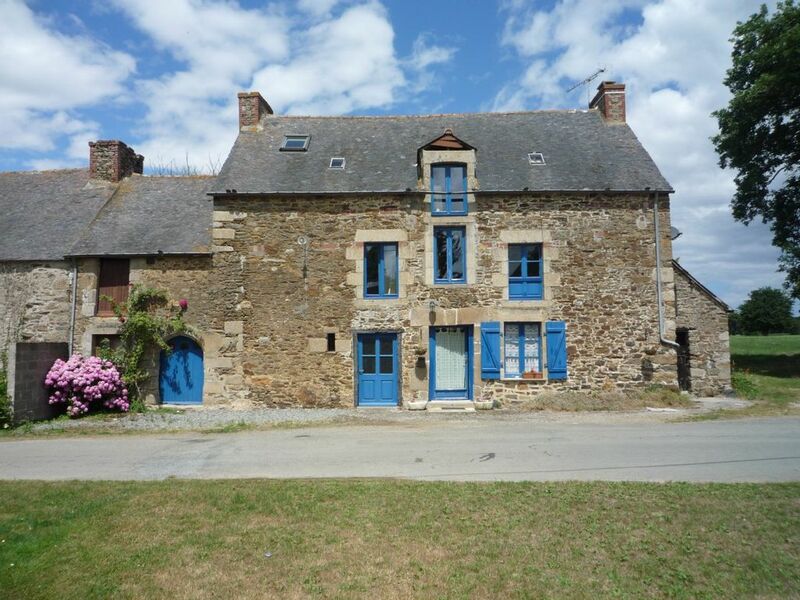 This charming cottage is situated in the countryside near the charming town of Dinan, at Languenan near Corseul. Clean sandy beaches are about 10 minutes away, as are excellent restaurants and beautiful walks. Shops and supermarkets are a short distance away.